I’ve been travelling to Penang with different methods of transportation. Ferries, buses and planes. My favourite method? By planes. 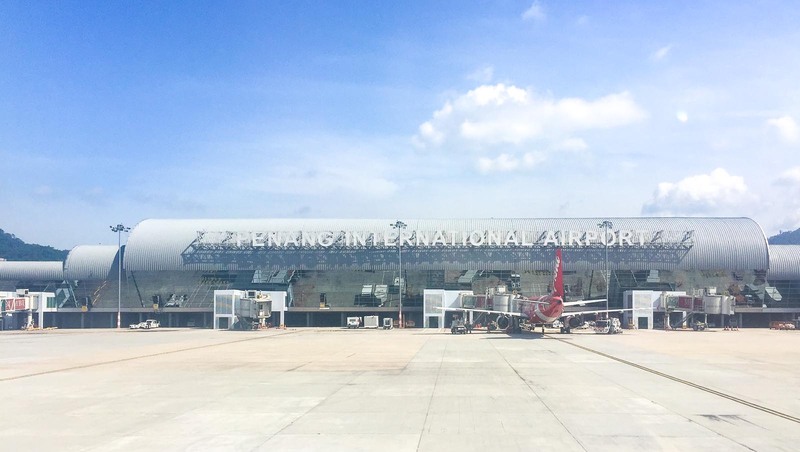 There’s only 1 terminal at Penang International Airport, so you don’t need to worry about transfer or transit. Based on my own experience, these are the things that you might find useful before arriving in Penang and before flying out of Penang. Penang International Airport has a free WiFi that you can use without creating an account. You don’t even need to have a phone number to use the WiFi. The speed and quality are not bad. 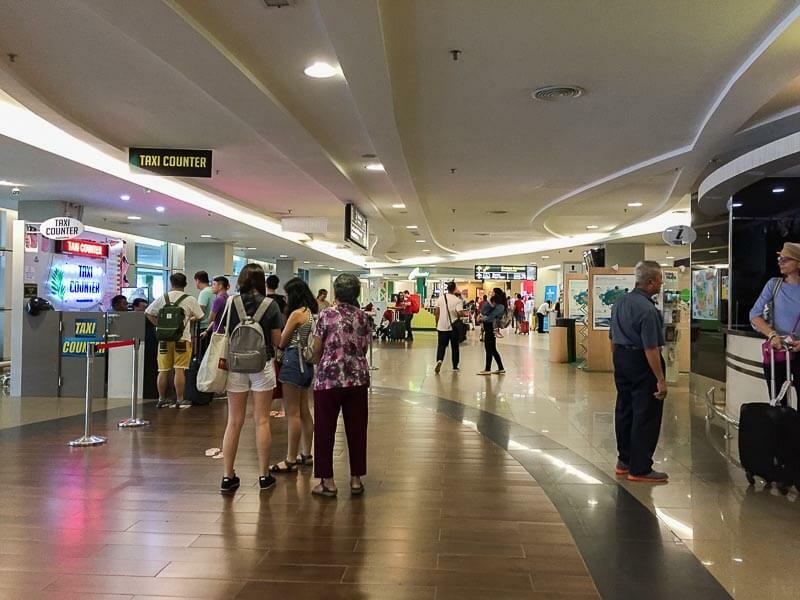 Before you arrive at the immigration hall, you’ll see 4 telco counters: Digi, Tune Talk, U-Mobile and Hotlink. 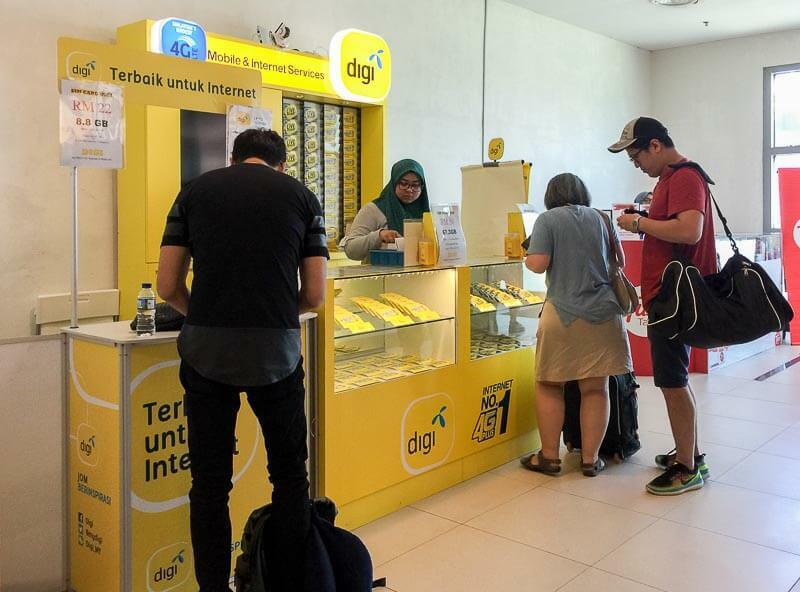 There, you can purchase local SIM Cards or perform top-up if you’ve already had a local SIM card. 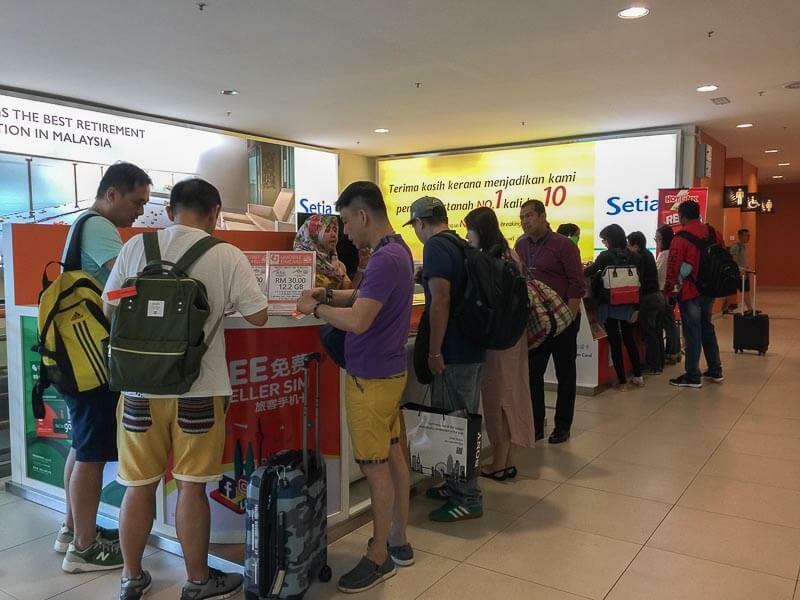 If you miss these counters, or you’re rushing to get out of arrival gate as soon as possible, you can find Digi & Hotlink telco counters again after you go out from the arrival gate. The next thing you’ll meet is the immigration. 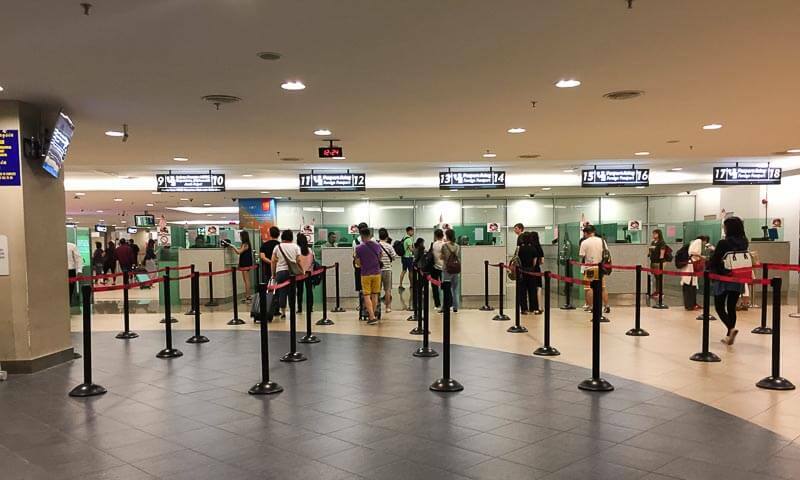 Unlike Singapore, Malaysia doesn’t require foreign visitors to fill up any immigration forms. So, if you’ve already had a visa (or you’re exempted from it), clearing immigration is quite a breeze. They’ll use a camera to capture your face, and a scanner machine to capture both of your index fingers’ print. After collecting your baggage from the belt, you’ll be required to scan your baggage before exiting the arrival gate. After baggage scan and just before the exit of arrival gate, there’s a shelf full of maps and brochures in different languages. It’s my favourite place because there is so much useful information for an independent traveller like me. 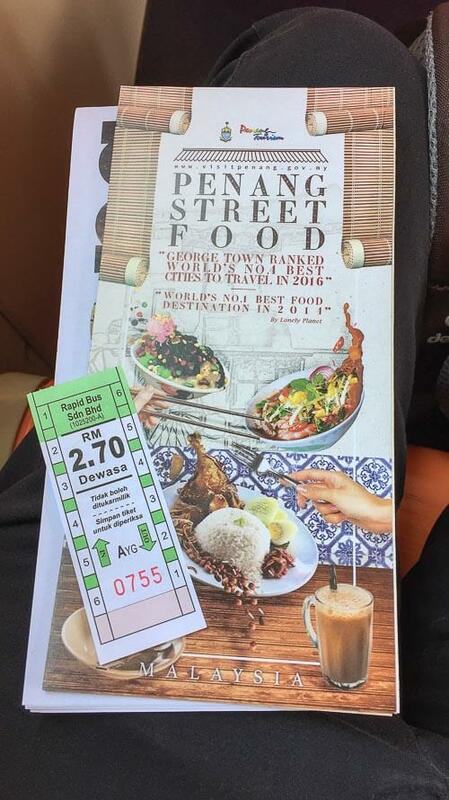 My favourite brochure is Penang Street Food brochure that recommends places to find delicious local food in Penang. The arrival hall is pretty much chaotic most of the time. Private drivers can be found walking around looking for customers. There are quite many services and facilities at arrival hall; I’ll be writing about them in details in the next paragraphs. 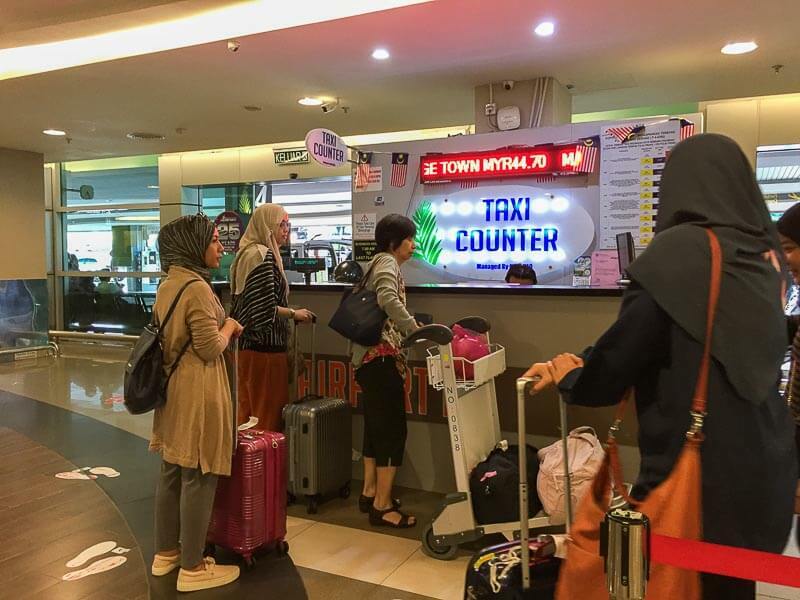 One of the most common transportation to the city centre or other parts of Penang is the airport taxi. However, the price could be a little tight for budget travellers. For example, the airport taxi to Georgetown costs RM 45, while the airport van costs RM 90. One could get to Georgetown cheaper by using Grab or public bus. Ride-sharing is really popular nowadays. 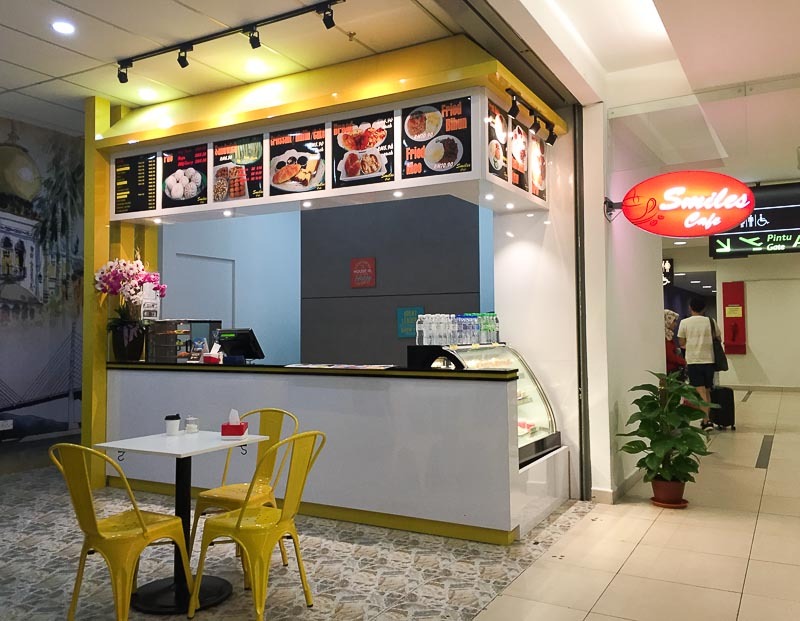 If you’re lucky, you can get to Georgetown for only RM 21. However, if you arrive late, or if it’s raining, or you’re just unlucky, a Grab ride could cost you RM 40 or more for the journey to Georgetown. If you aren’t a Grab user yet, you can sign up for Grab here and use my code “GRABTREVALLOG” to get discounts for your ride. This has to be my favourite transportation method from Penang airport to town. 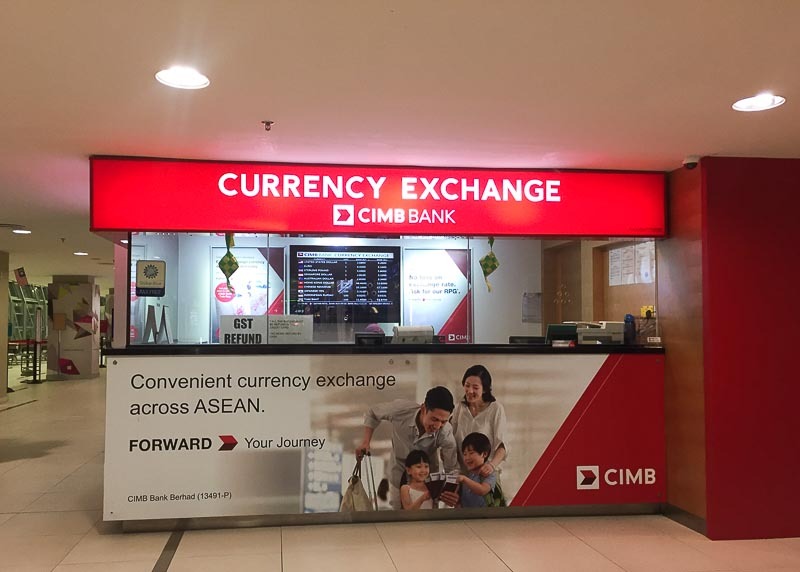 It costs only RM 2.70 to go to Komtar by bus 102, 401 and AT. The journey takes between 40 minutes (during the non-peak hour) to 1 hour 10 minutes (during peak hour). 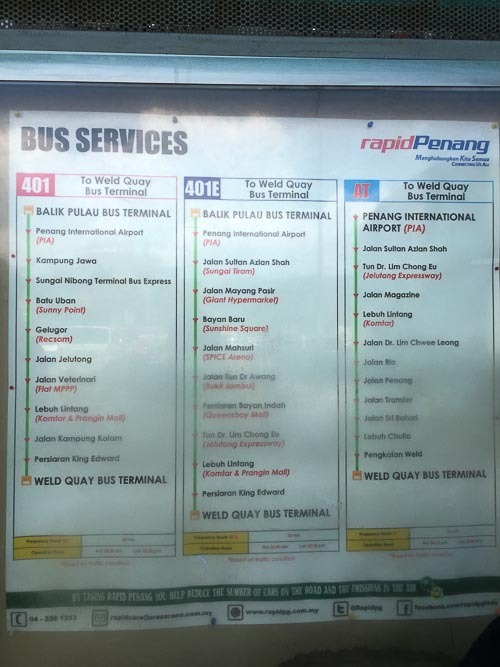 There are also buses that go to other parts of Penang, such as Teluk Bahang, Penang General Hospital and Weld Quay (Ferry terminal). As the bus doesn’t give any change, do pay with the exact amount of cash when you board, otherwise you’re paying more than what’s required. There are various car rental companies at the arrival hall, such as Avis, Hertz, Europcar and many more. All of them are located side by side, so take your time to survey each company! Yes, you read that right. 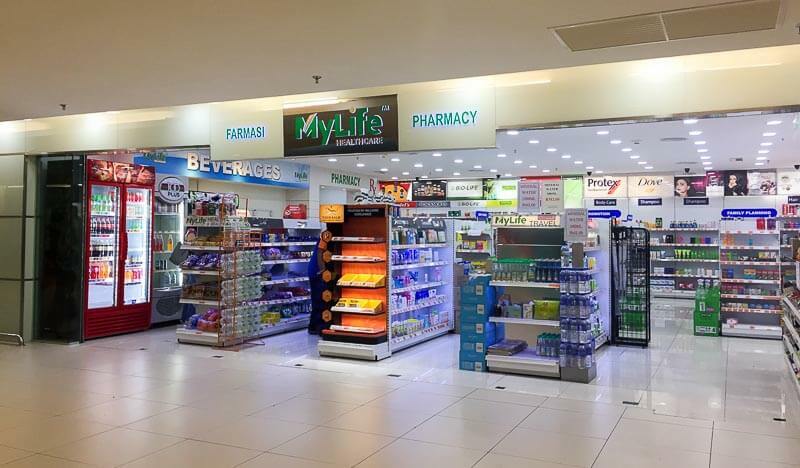 There are minimarkets, pharmacy and even a clinic at Penang airport! 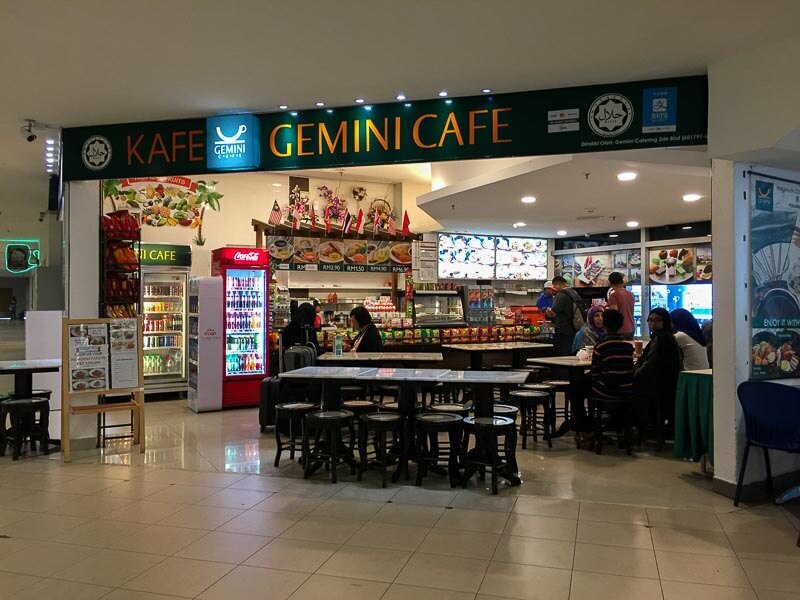 At arrival hall, you can find Nasi Kandar, Gemini Café and several food kiosks. 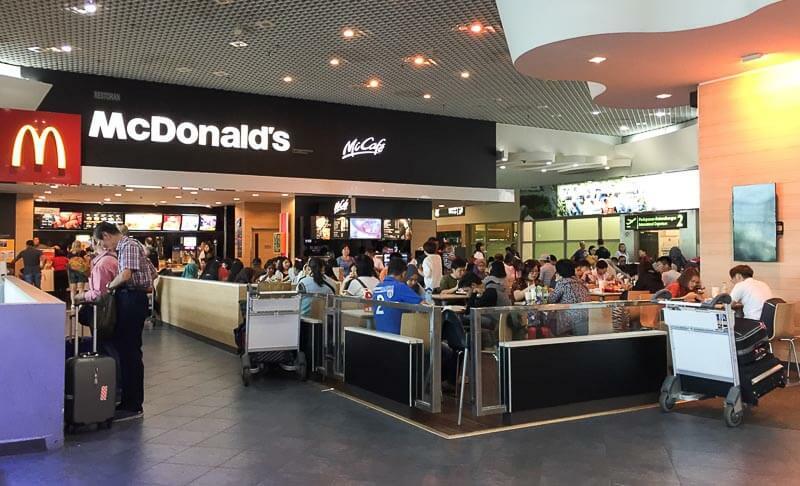 If you want more varieties, take the escalator to the second floor (departure all) where you’ll find more choices of food. 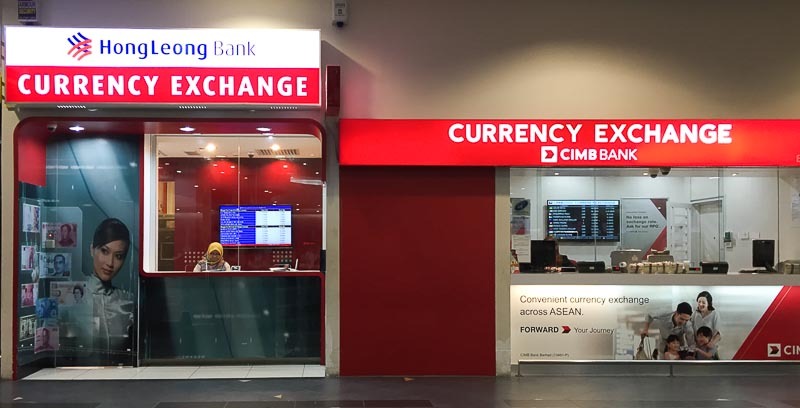 There are 2 money changers at the airport, both of which are located at 2nd storey. The exchange rate is not too good in my honest opinion, but it’s okay for the small amount of money. There are also ATMs if you prefer to withdraw from your own bank card. 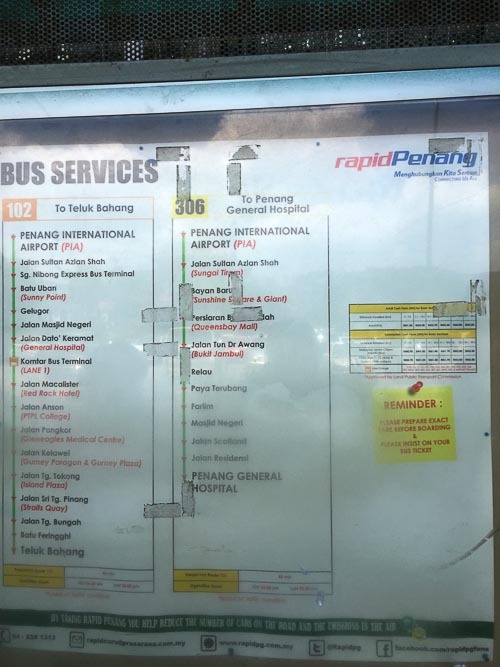 Similar to point #7, #8 and #9 above, one can go to Penang airport by taxi, Grab or public bus. 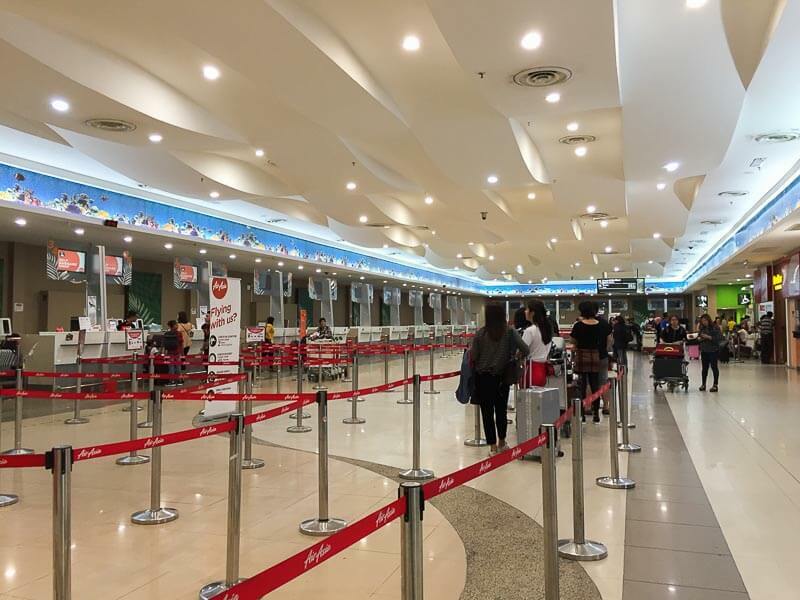 I noticed that AirAsia’s passengers can only check in using the self-check-in machine; the counters are only for baggage drop, document check and special assistance. For other airlines, the check-in can be done through the counter. Plastic wrapping service is available. 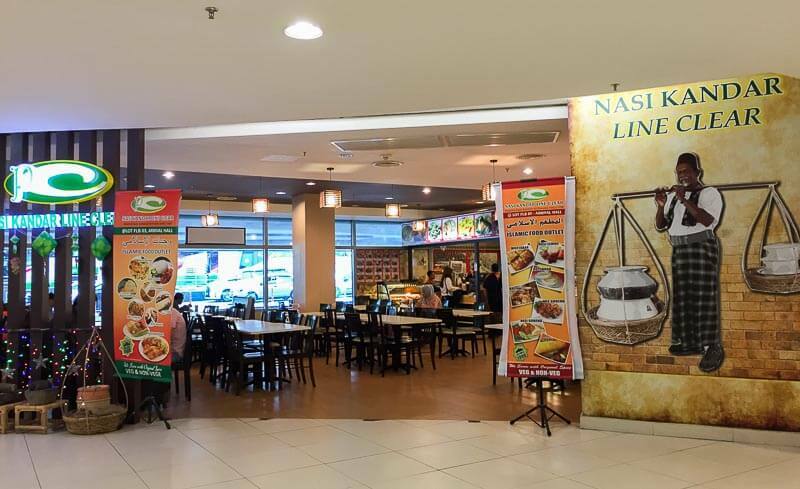 Below is the list of restaurants in the departure hall. Some of them offer free WiFi for customers. If you don’t have enough time to buy souvenirs at the town, fret not. 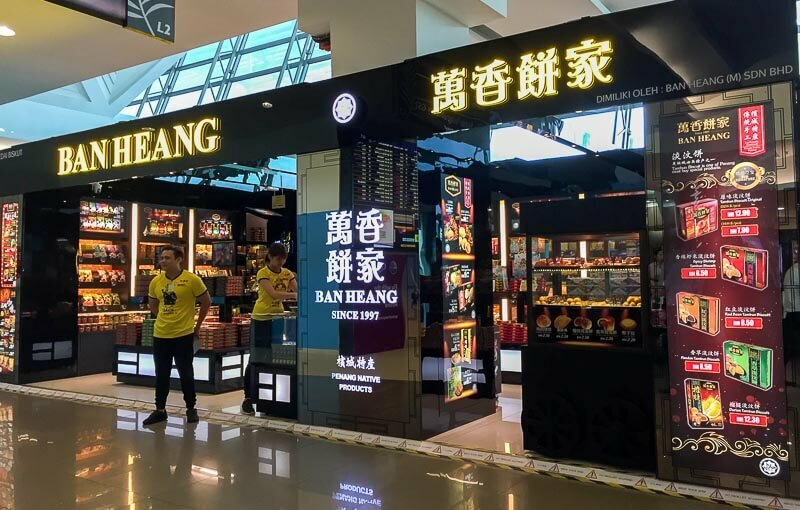 You can buy chocolates, tambun biscuit and other souvenirs at Penang airport. Of course, the price at the airport is more expensive than the price at the town. For example, I bought 32pcs tambun biscuit from Ban Heang at the airport for RM 12.9 while the same thing costs only RM 9.9 at Georgetown. After passing through the immigration, you’ll enter a departure terminal with several departure gates. 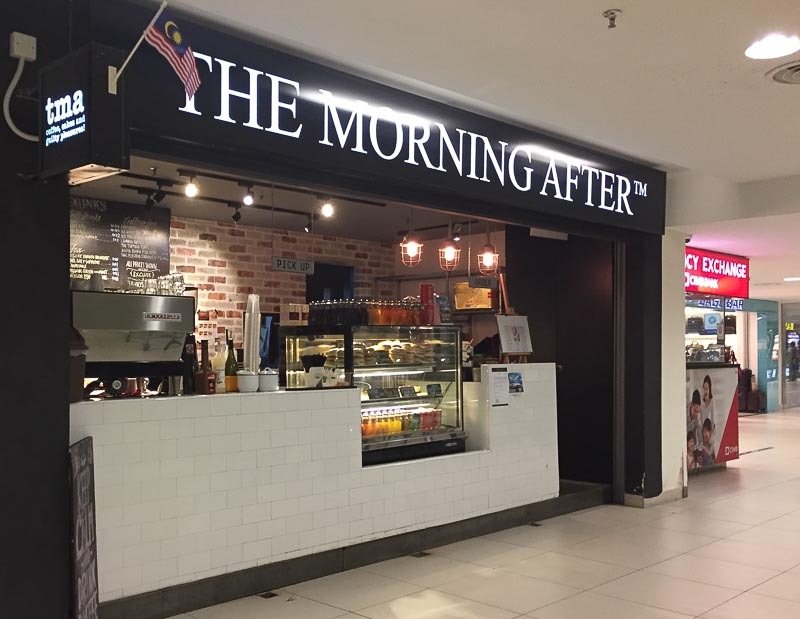 There are several food options inside the departure terminal, namely The Morning After as well as two Smiles Cafe. 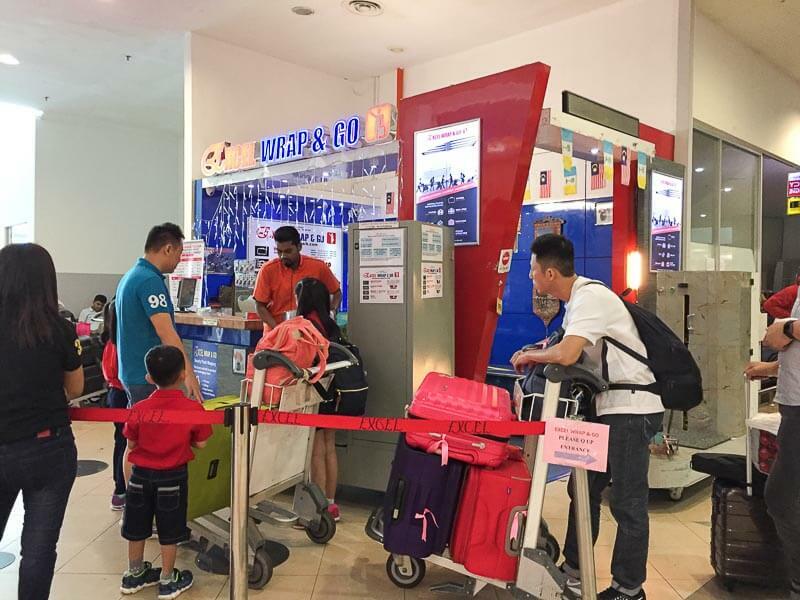 Missed your chance to buy souvenirs in the public area? 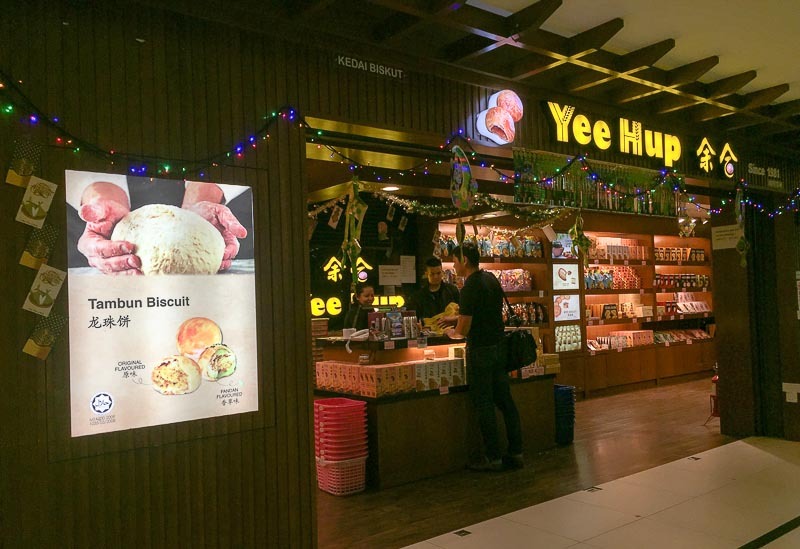 There are several souvenir shops inside the departure gate that sell local delicacies, such as Ban Heang, Yee Hup, etc. There’s a money changer inside departure gate too, for urgent transactions. If you’re desperate to charge your laptop or handphone, there are plenty of power points here. Just walk to the furthest point of the departure terminal. I hope you find my post useful. This post is not exhaustive and the information may change from time to time. I’m doing my best to highlight the most important elements of Penang’s Airport to help travellers have a smoother trip in Penang. If you have feedback or questions, do not hesitate to leave a comment below! Thanks Eva for providing useful information. Can you please give me some idea on how early one should arrive to catch an international flight from Penang. That depends on how early your airline check-in counter is open. You may check with your airline! Thank you so much for sharing Eva! This has been very informative. 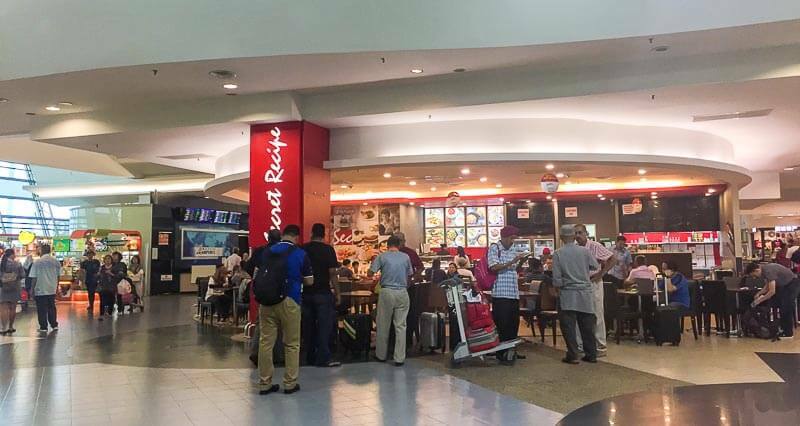 Did you happen to notice if they still had a Kenny Rogers in the airport? Thanks! Hey Eva, do you know how easy it would be and the relative cost to Grab a 6-seater vehicle to Georgetown after 9pm from the airport? Many thanks! Hi AL, based on my experience, 4-seater Grab costs quite expensive at night at the airport. Personally, I haven’t used 6-seater Grab at Penang, so I can’t really comment. You can always use the airport transport if Grab is not possible. 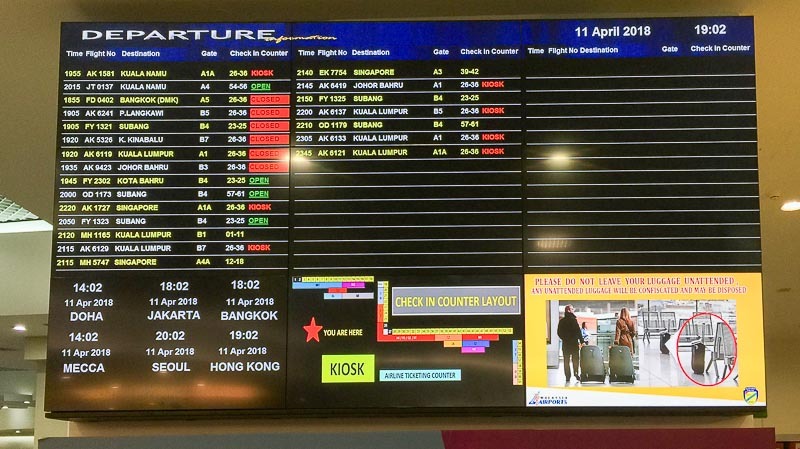 Hi Eva, my flight to penang will be arriving around midnight, do you know is it possible to stay overnight in the penang airport? Thank a lot! Hi Tere, do you mean stay in an airport hotel or sleep on the benches? I’m not aware of any airport hotel at penang airport. I don’t think it’s a good idea to sleep on the benches. I’d recommend that you take cab/grab to hotels near queensbay mall or georgetown. 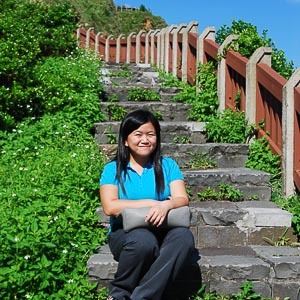 Hi Eva, I’m planning to go Penang in December. Is it a good idea in terms of weather? Like raining seasons or floods? Hi Lovemin, based on my own observation, Southeast Asia (especially Indonesia, Malaysia and Singapore) is pretty wet from September to March. Flood is hard to predict. My suggestion to you is to bring a light foldable umbrella whenever you go. Hey Eva, do you know how easy it would be and the relative cost to Grab a 5-seater vehicle to Georgetown after 10am from the airport? Many thanks! Hi Ang Chuan, I have not taken 6-seater Grab from Airport, but I did use 6-seater at Georgetown area and it didn’t take a long time to find one. I think it shouldn’t be an issue to find 6-seater during the day. Just compare the price of Grab and airport transport. If the prices are about the same, it’s easier to get the airport transport because you don’t need to wait for Grab to arrive. 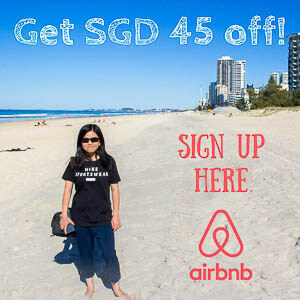 Enjoy your stay in Penang! Very useful article! Which is the best company to buy my SIM card from if I just need a small amount of data for 15 – 30 days (maybe 2 months – flexible schedule), and mainly only to get GRAB taxis to go around town? Thanks! 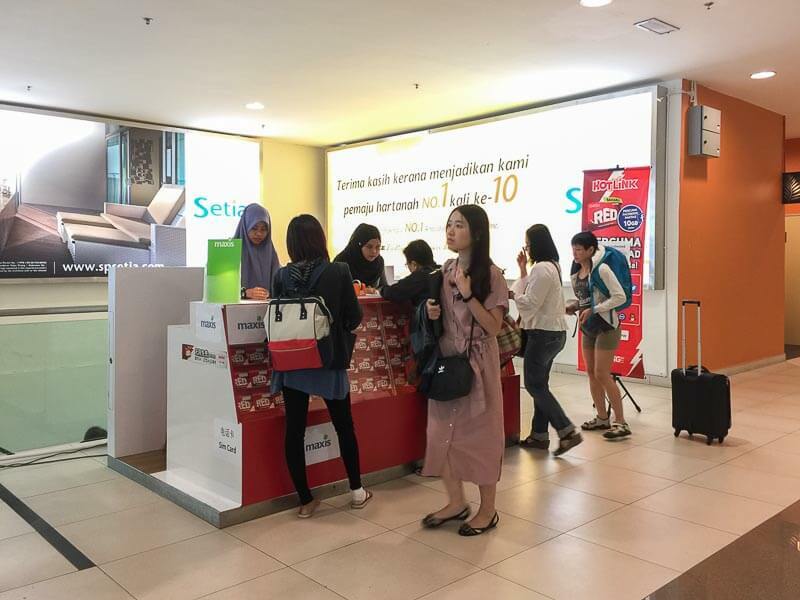 Hi Jo, you may ask directly from the counter 🙂 normally a SIM card is valid for 1 month in Malaysia, so just buy a basic SIM card with enough credit to buy data plan, and remember to buy top up card so that you can reload your card after it expires a month later. hi Eva, thank you so much for all the information above. 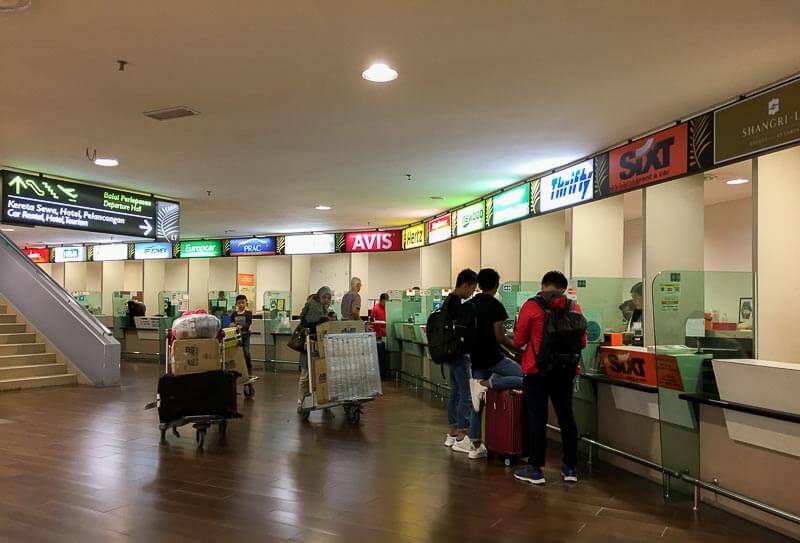 Did you find any tap water in Penang airport? Hi Susi, outside the departure/arrival gate, no. Inside the gate, I couldn’t really remember, sorry. Hi Eva, thanks for providing very useful Penang airport info. 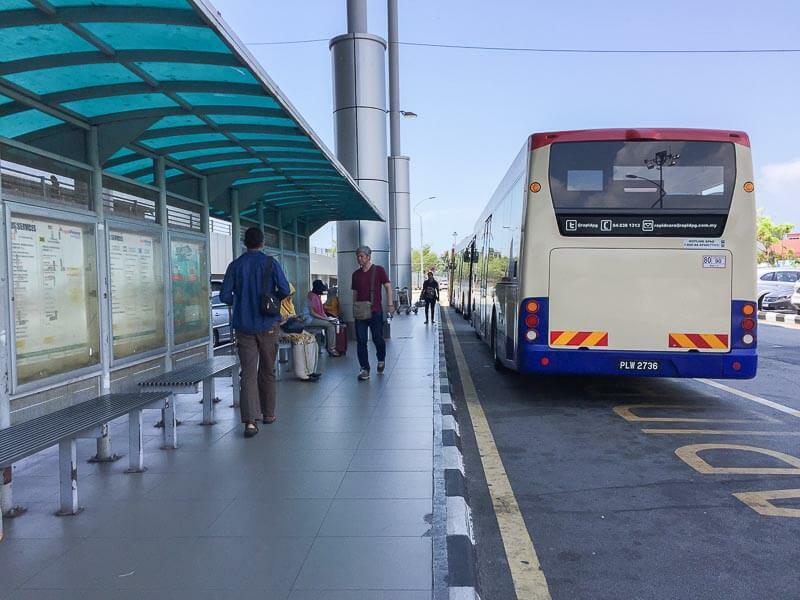 Is the airport public bus has baggage rack to place the luggage? Hi John, thanks for the compliment. The public buses don’t have a designated luggage rack. 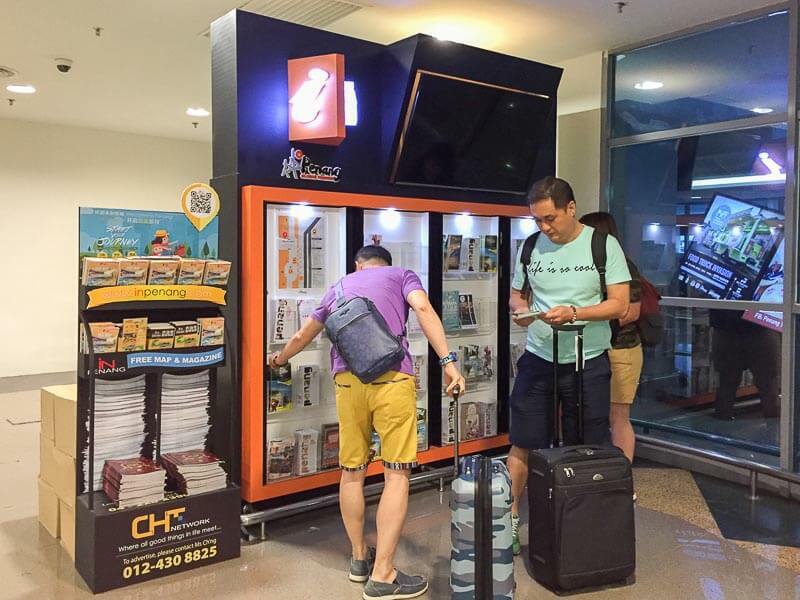 There are small racks near the front gate, if your luggage is small (cabin luggage), I guess you can try to see if it fits there. Otherwise, you might need to hold it throughout the journey.